Teachers can choose from a broad range of professional learning opportunities and the Board anticipates that a variety of learning activities will be undertaken. The Board understands that some employers may require a teacher to complete specific types of professional learning. This will be recognised for registration purposes as long as it is referenced by the teacher to the Australian Professional Standards for Teachers. 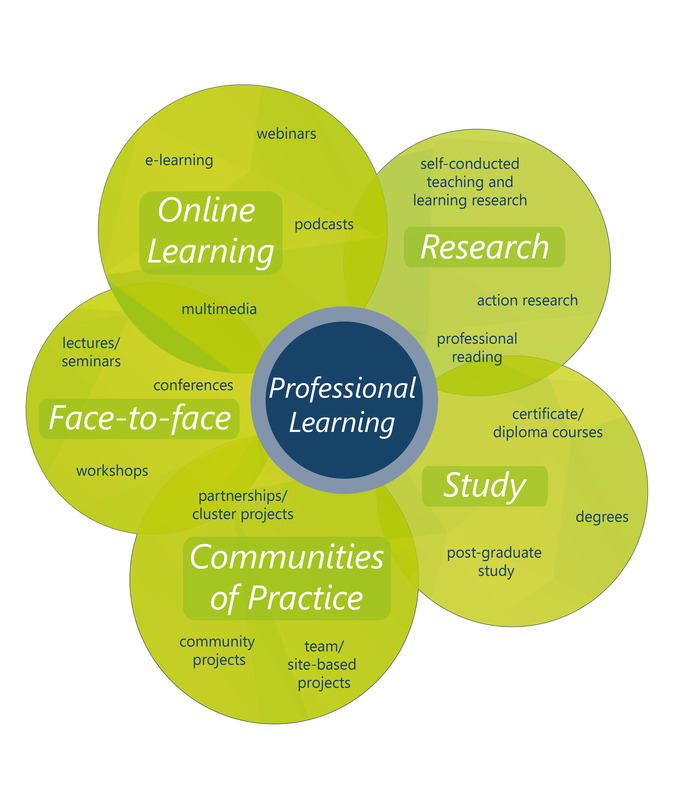 The following tables list examples of professional learning activities in each category of learning together with the kinds of evidence you could keep. This information should not be considered exhaustive. Examples provided by teachers: "TRB Professional Learning Conference"; "Maths workshops". Resources gathered from session (i.e., PowerPoint slides, handouts) annotated with own notes. University degrees, TAFE certificate/diploma courses. Examples provided by teachers: "Masters of Education"; "Certificate IV in Training and Assessment"; "working on PhD". Professional reading, including books, articles, academic journals, peer-reviewed literature, etc. Self-conducted research, including internet searches for information and formal research projects. Examples provided by teachers: "reading Managing Classroom Behaviour"; "searched for information about differentiation”. Reports and articles written about the research. i.e. not just passive viewing of material but actively completing modules online. Examples provided by teachers: "RAN update course"; "First Aid theory component". Learning journal (including name of course/activity, presenter if applicable, date, and reflection/notes). Participating in a group project. Example provided by teachers: "Professional association meeting with a guest speaker and focus areas for discussion". The following examples are of activities not accepted as teacher professional learning. This list should not be considered exhaustive. Report writing, marking, entering data on the student learning management system, and submitting students’ work for moderation. Competition grading e.g., Australian Maths Competition, judging for art/history prizes, being on the audition panel for Adelaide Youth Orchestra. Working in the role of a secretary for a committee. Giving resources and feedback to other teachers or conducting a performance review. Conducting workshops or information sessions. Volunteering (in school/site or the community).